A Scottish teenager has had her new profile pic brutally savaged by her grandma, less than eight minutes after she posted it. 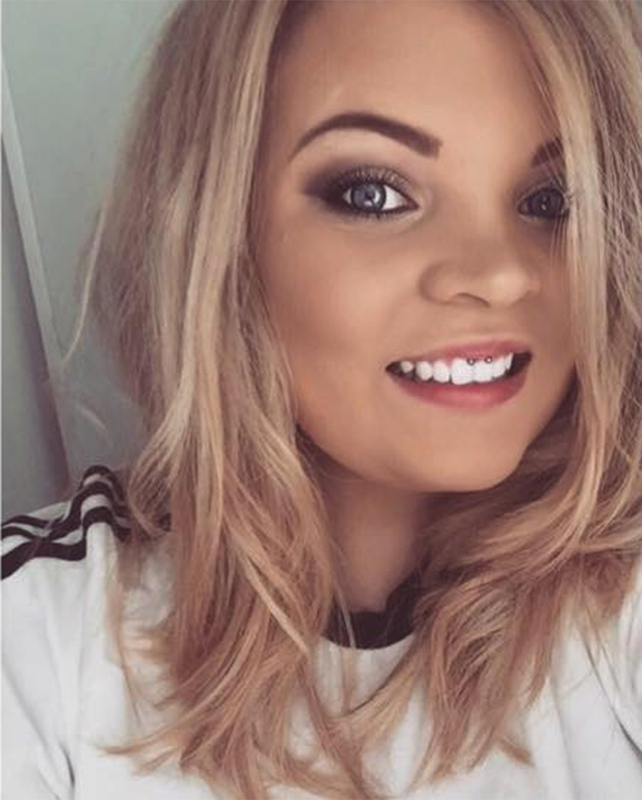 19-year-old Chloe Gallacher realised she'd posted one too many photos using "that daft dog filter" lately, and decided to post a photo (gasp) without using any filters whatsoever. She took a nice picture of herself and posted it as her profile picture. You know what happens next. You wait around to see if people like your profile picture, or if anyone goes as far as to comment "hey, nice profile picture." Eight minutes later, Chloe looked at her notifications and saw that she'd got a reply from her grandma. Ouch, grandma. Ouch. 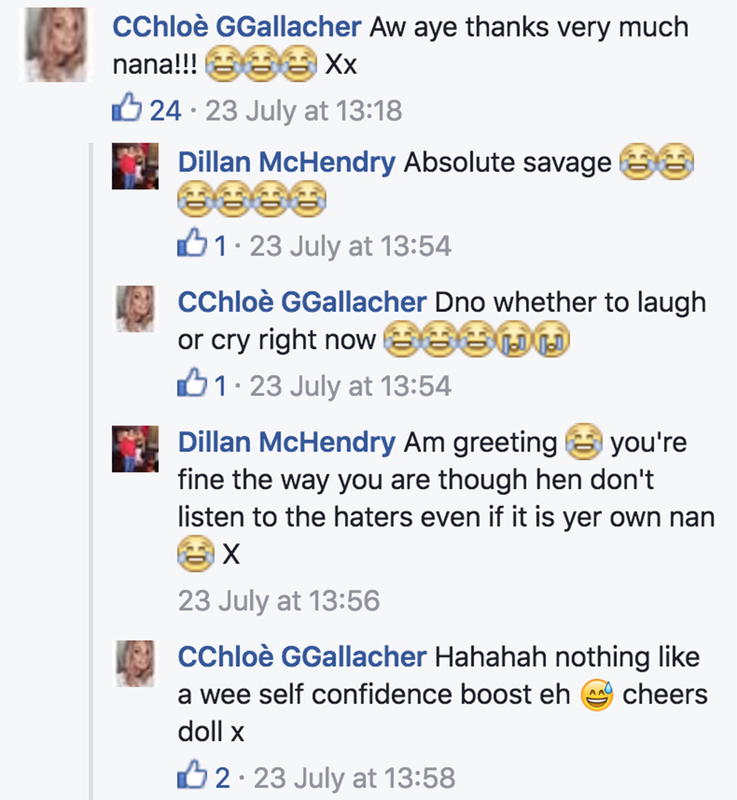 The 70-year-old grandma from Glasgow has since been branded as "Scotland's most savage granny" after a tweet of the conversation went viral. Fortunately, Chloe seems to have brushed it off pretty easily, thanking her nana for the kind reply. Nana's daughter, however, was pretty angry-face. I'm not very good on Facebook, I just go on there to see what's going on," she explained. "It was just meant to be seen by her but I'm glad she took it well, I was only saying it in a nice way. "She's beautiful. It wasn't meant as a dig. I've got ten grandchildren and one great grandchild and I'm very protective of them all. We are all very close so they all know me too well. I'm brutally honest if nothing else."